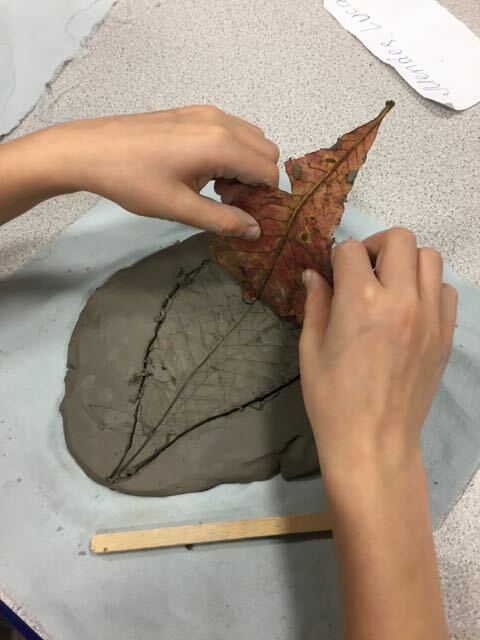 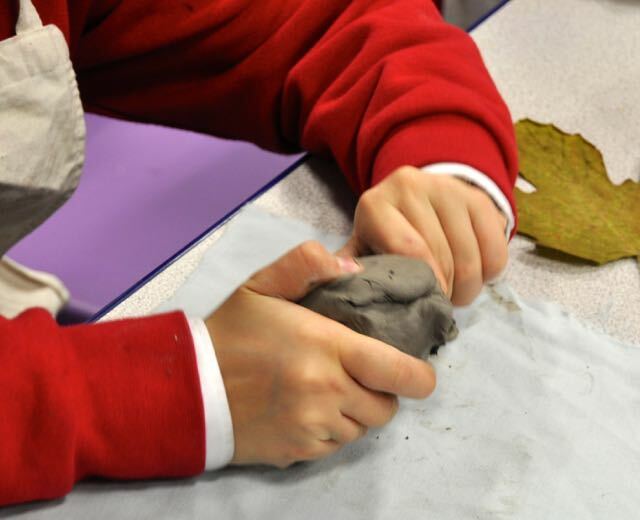 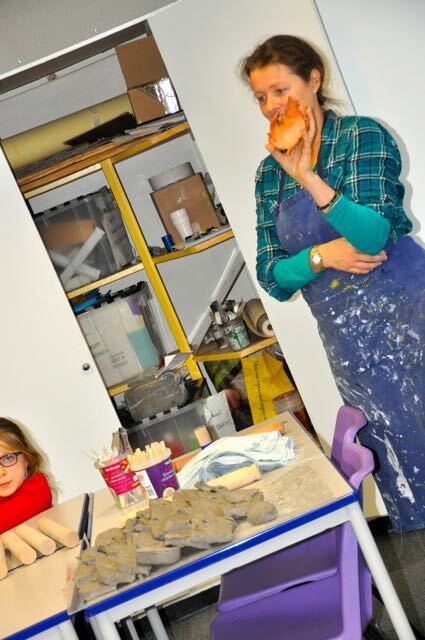 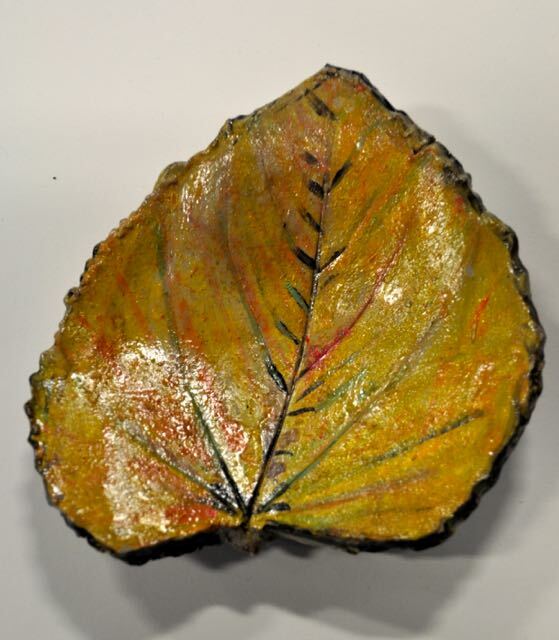 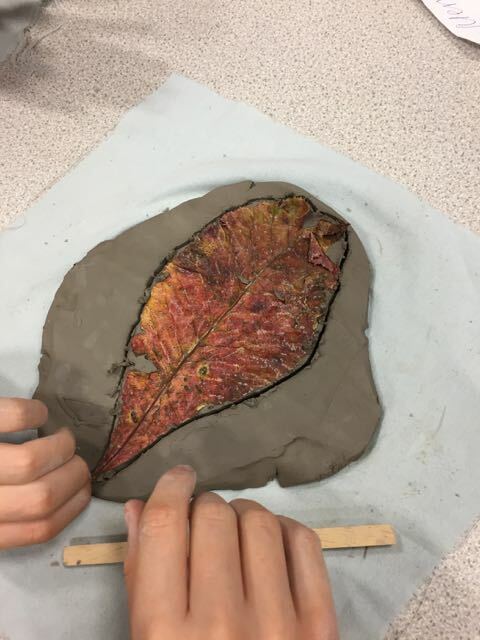 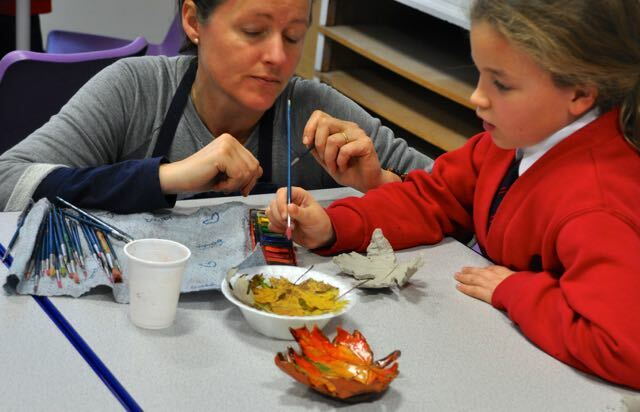 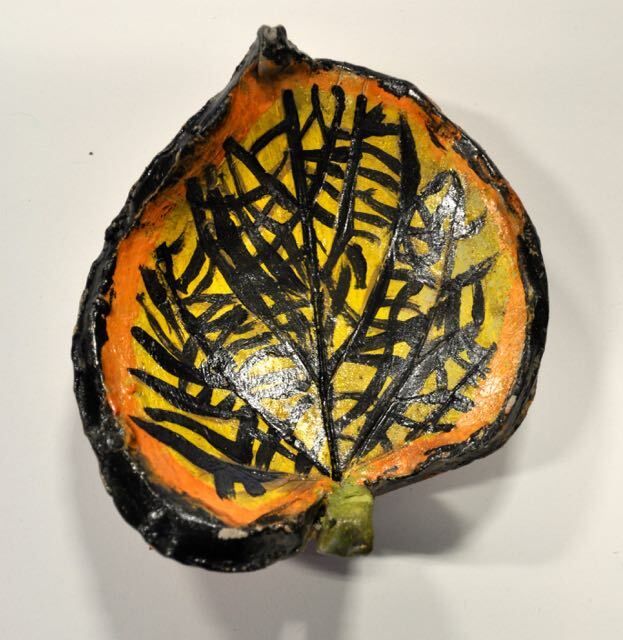 This Autumn Veena has been working with the Key Stage 2 art club at Pelham Primary School on a lovely ceramics project. 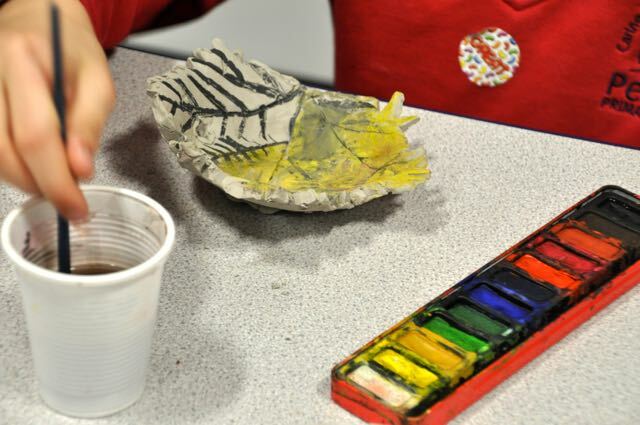 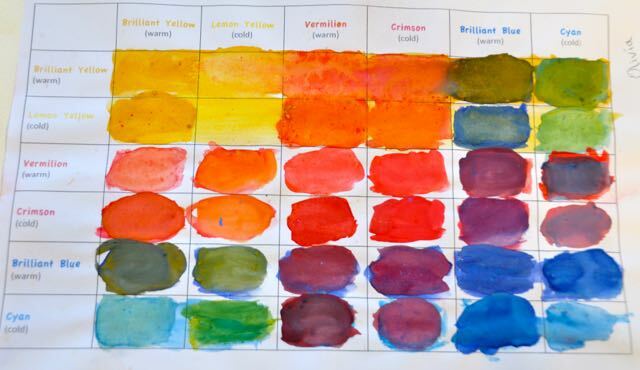 The children began by revisiting basic colour theory through mixing powder paints. 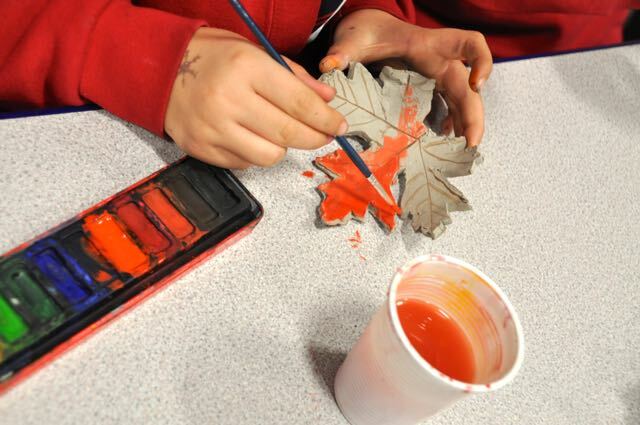 They enjoyed mixing colours and completing a simple grid. 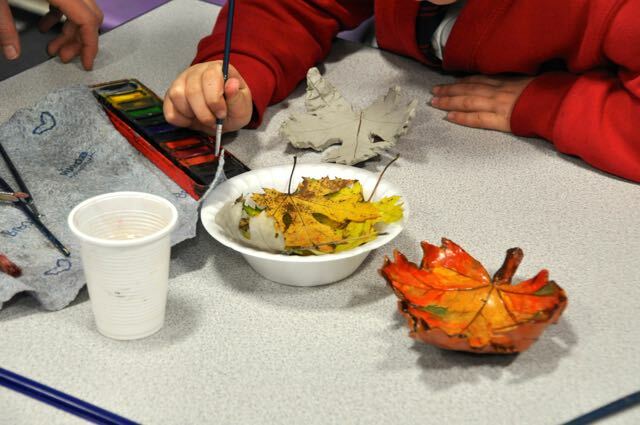 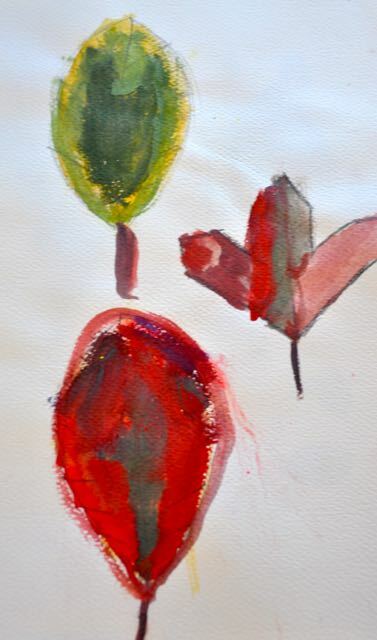 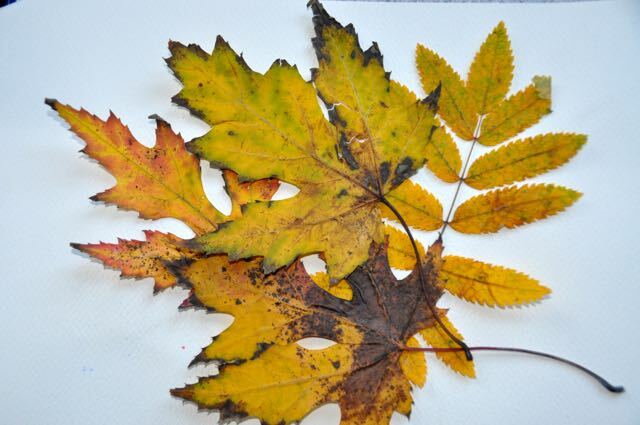 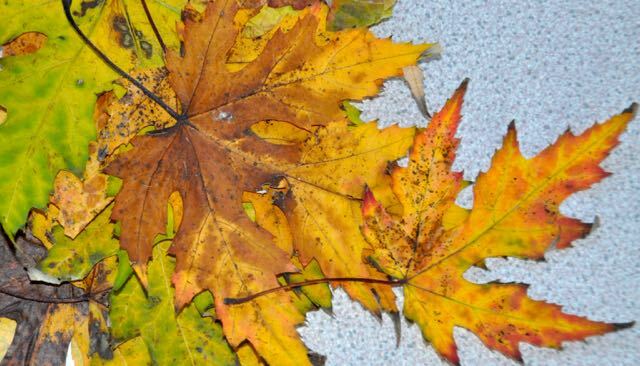 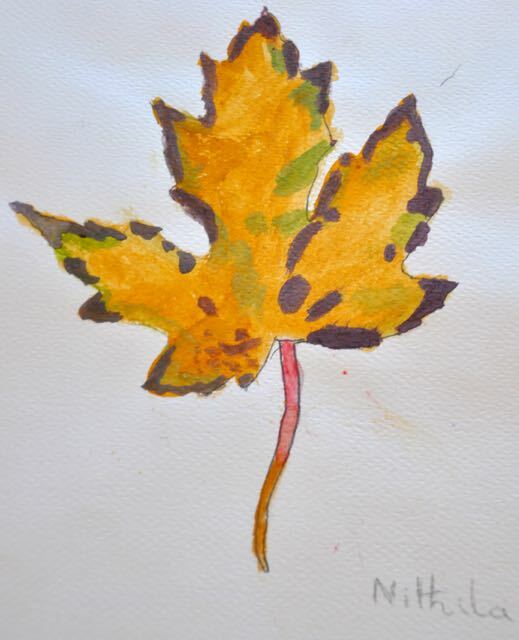 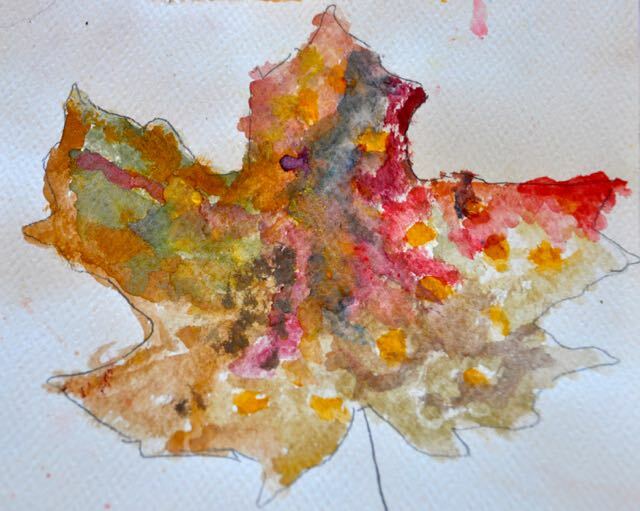 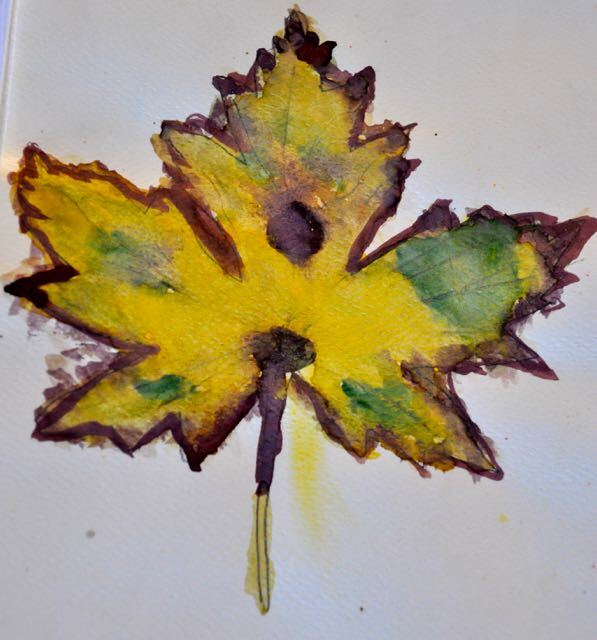 They observed Autumn leaves and made observational paintings, applying their colour mixing skills. 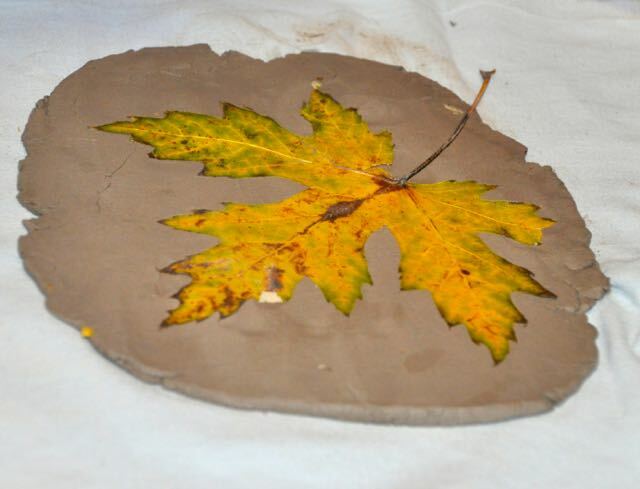 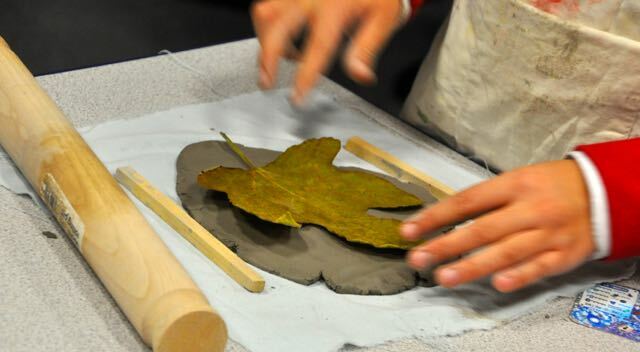 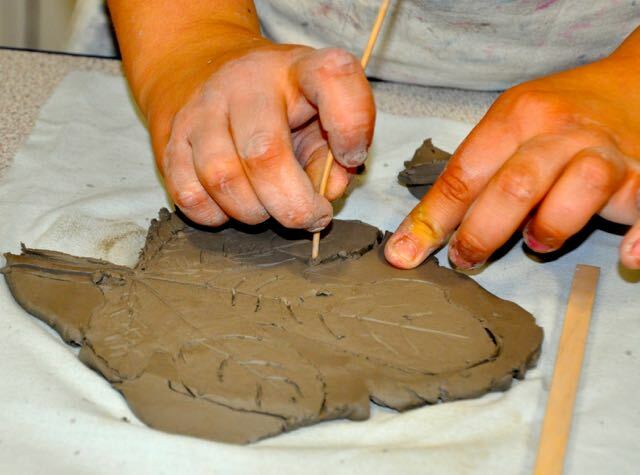 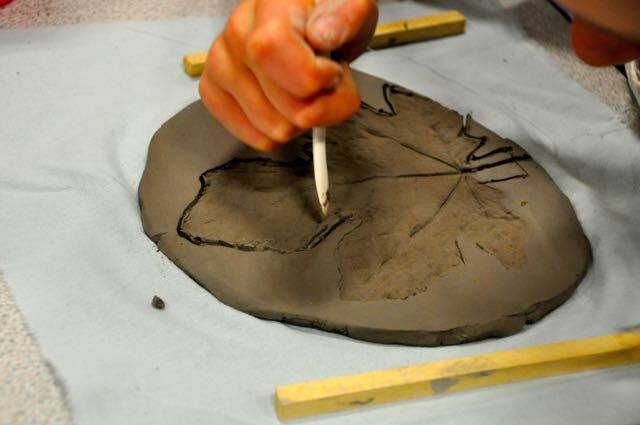 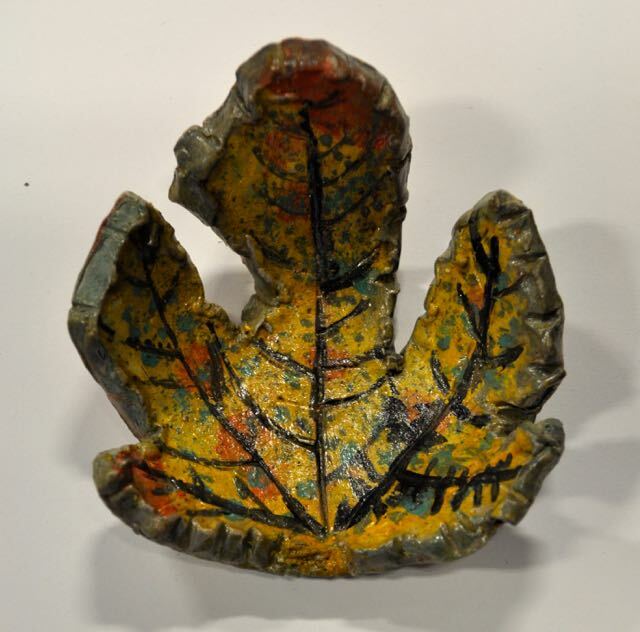 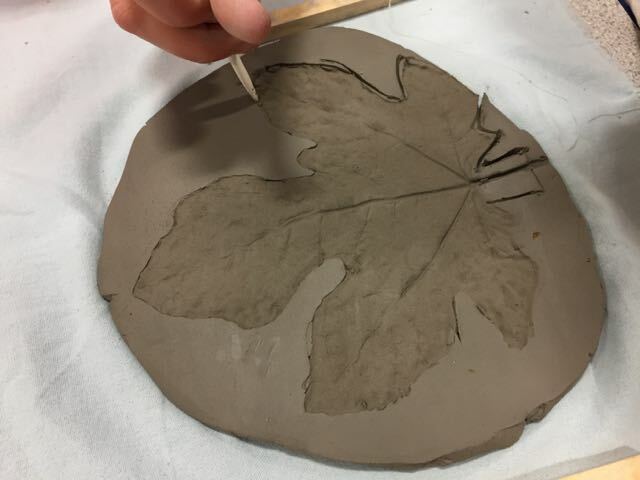 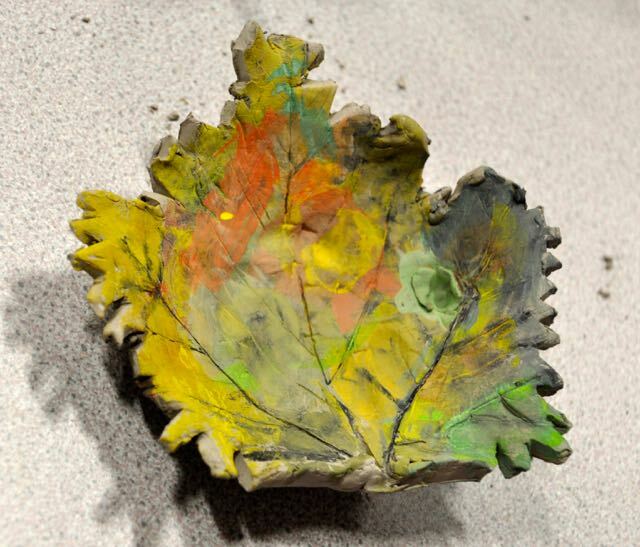 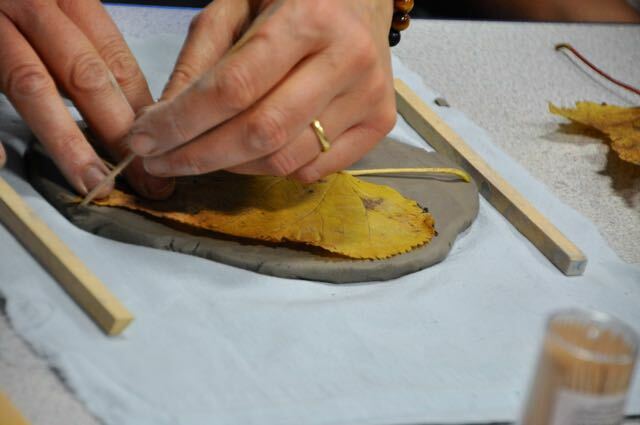 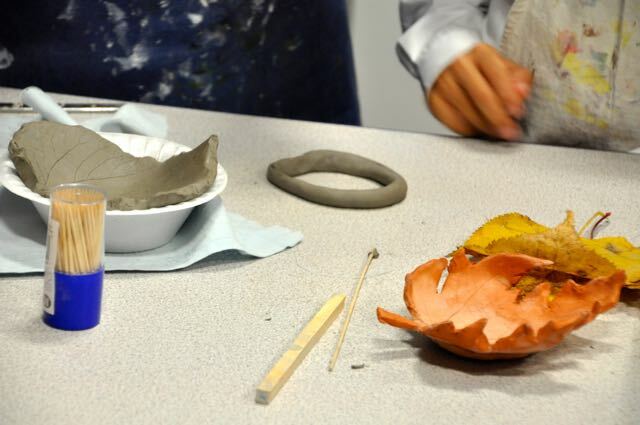 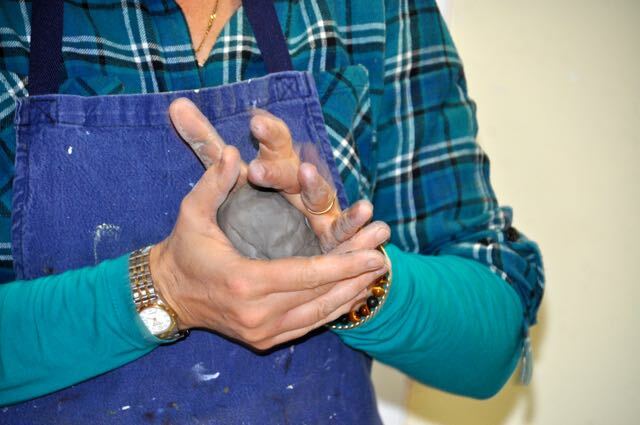 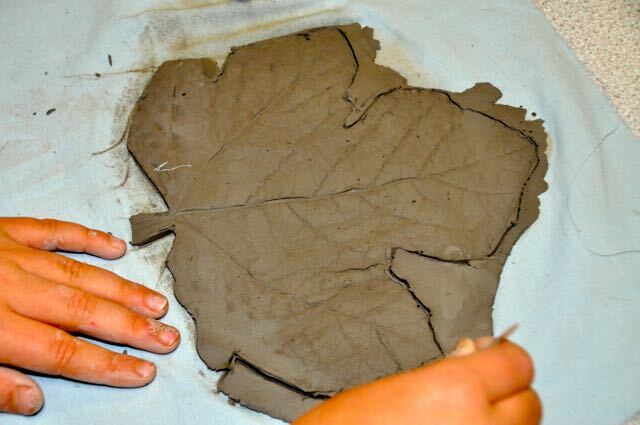 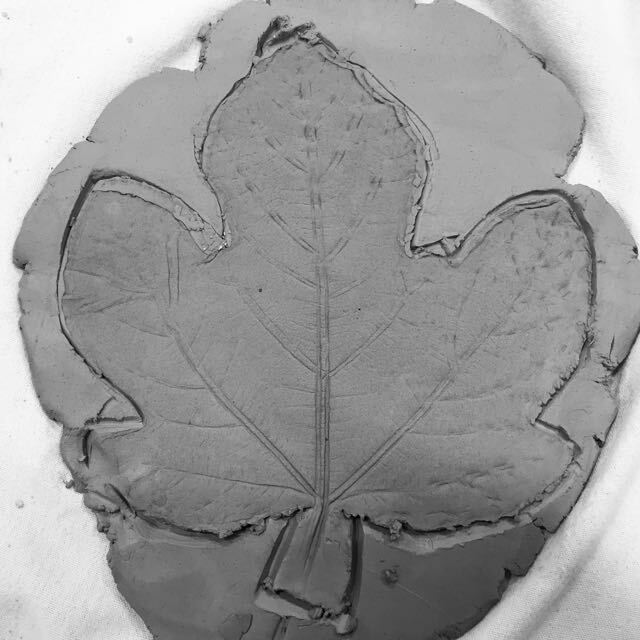 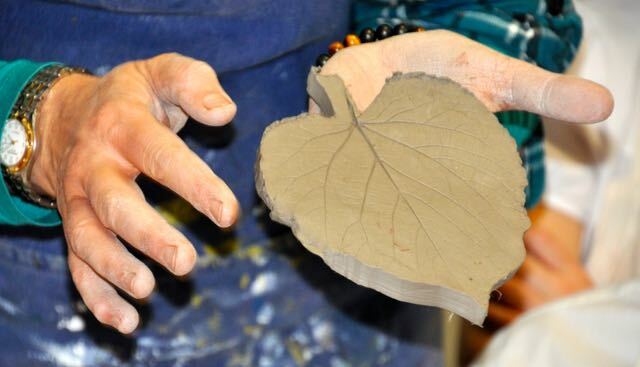 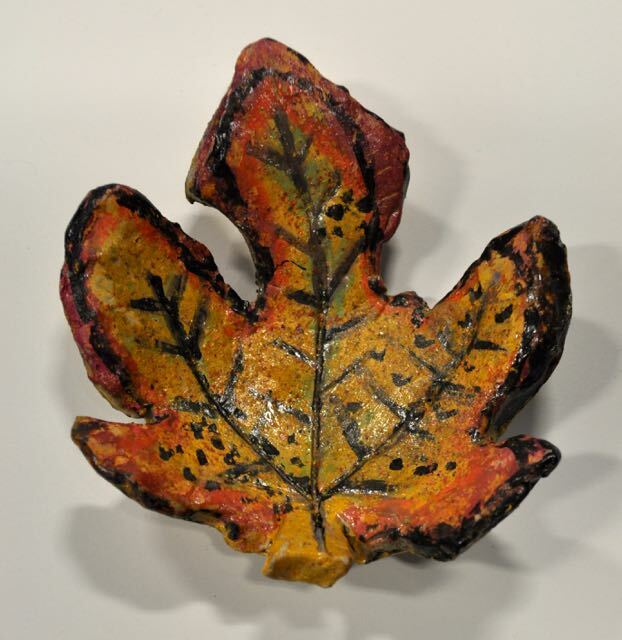 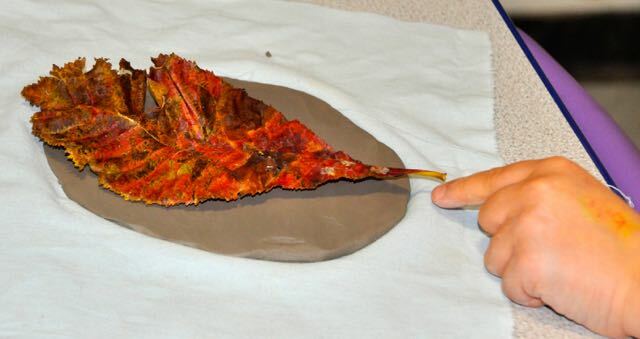 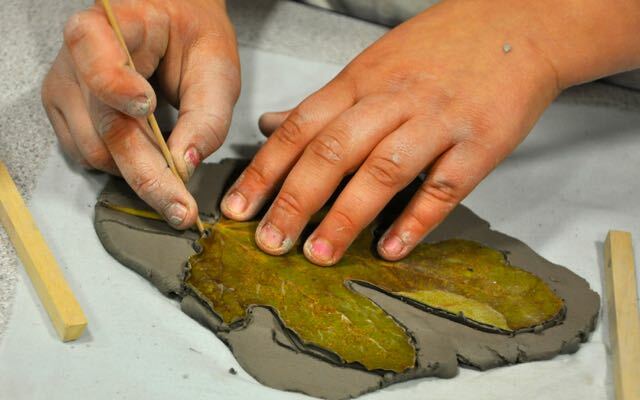 Veena demonstrated how you can take an impression of a leaf on a piece of clay and craft it into a bowl. 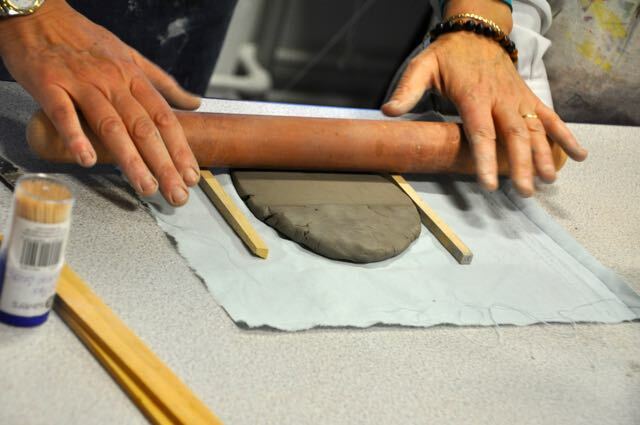 Guide sticks were used to roll out the clay to a certain thickness. 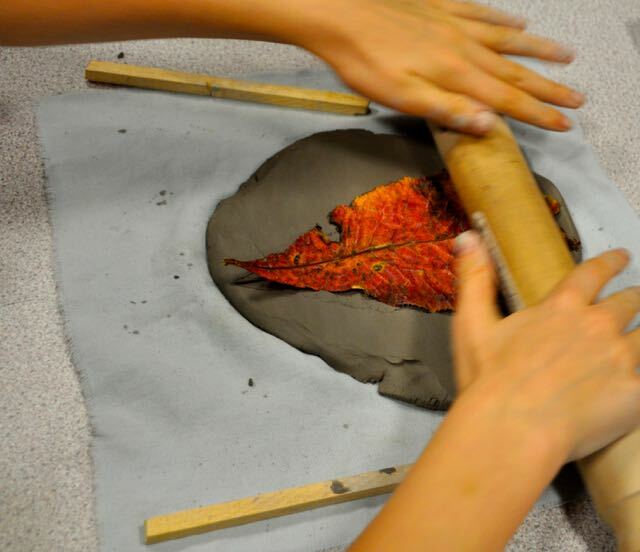 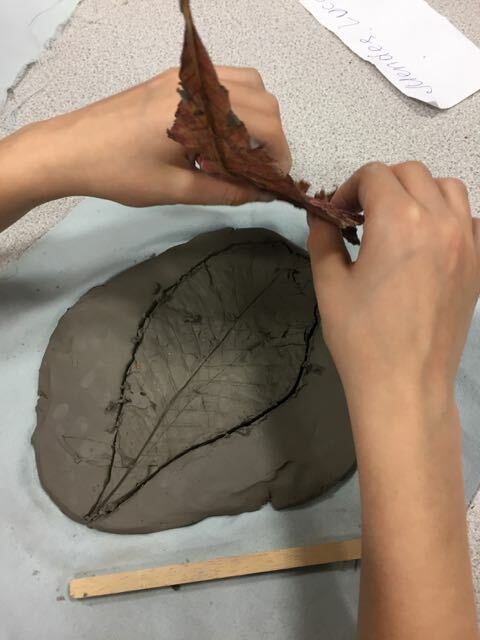 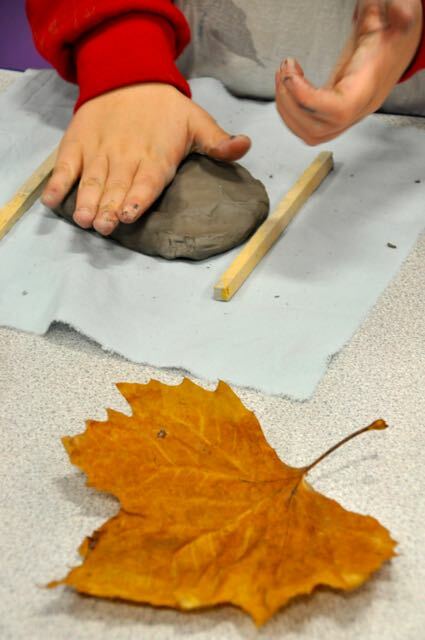 Then we rolled the leaf onto the clay. 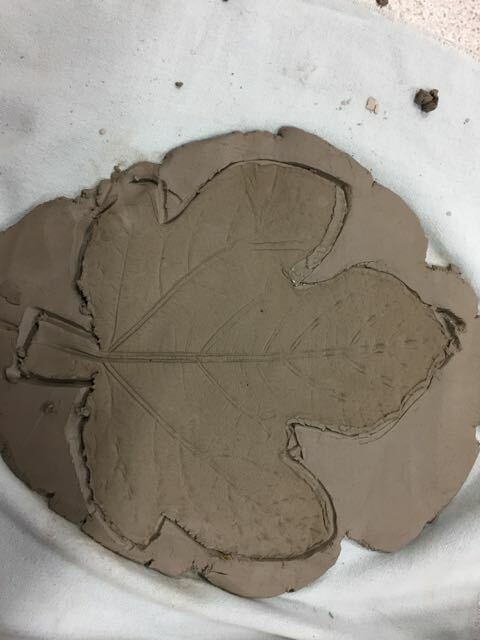 A ring of clay was added at the bottom so it wold be sturdy. 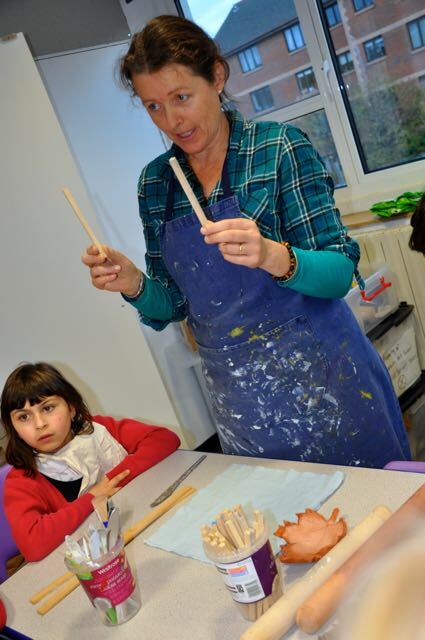 The children then made their own version. 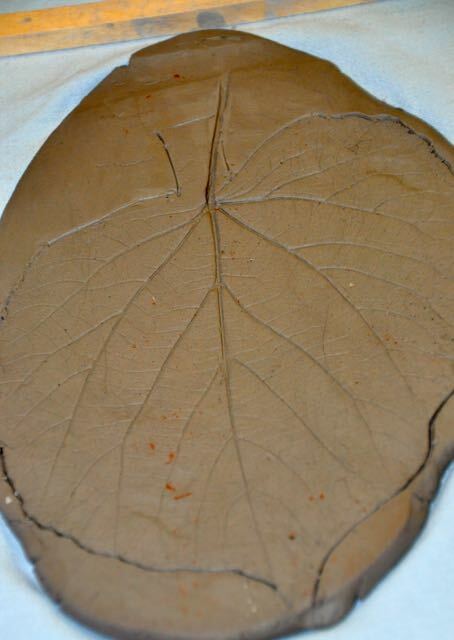 Its quite magical seeing the impression of the leaf emerge. 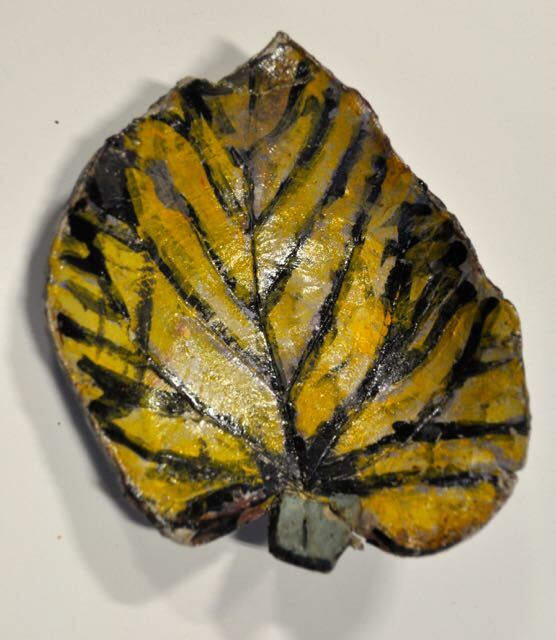 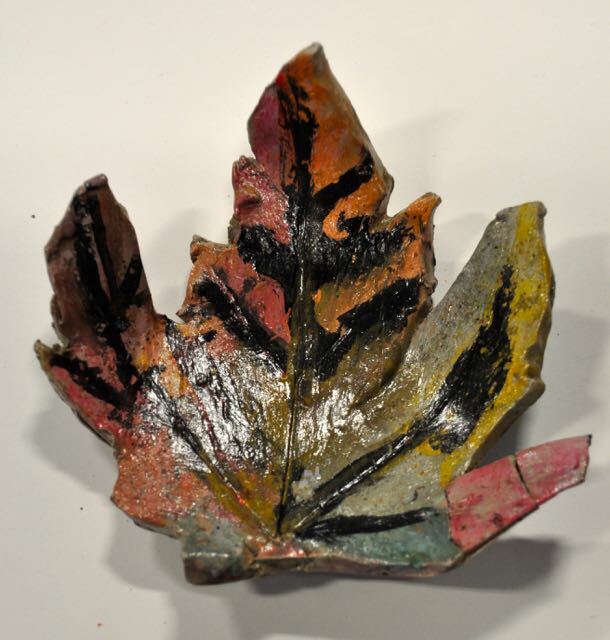 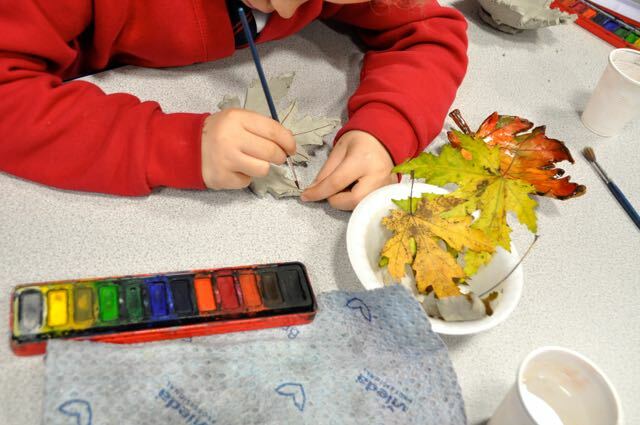 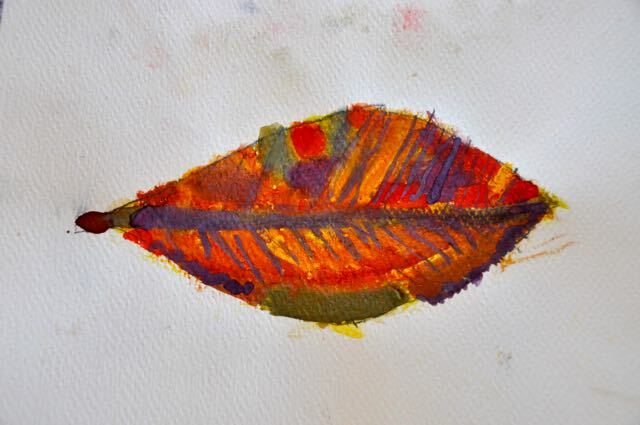 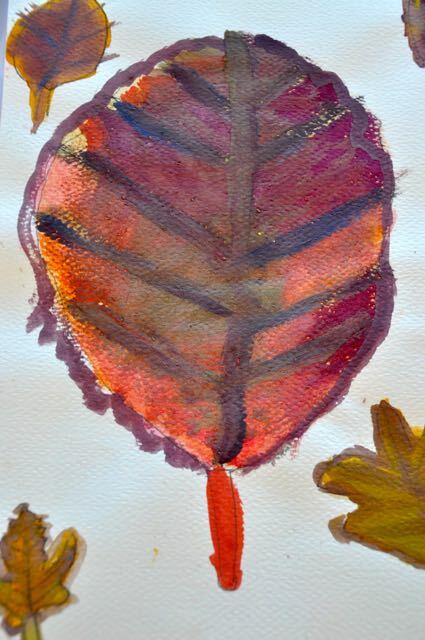 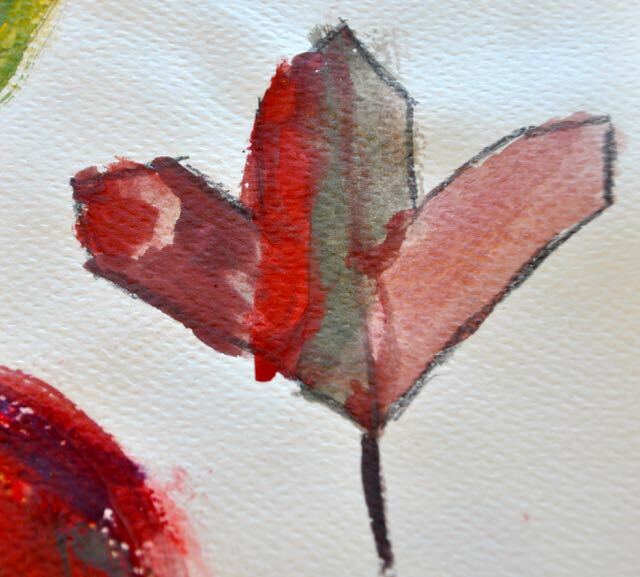 The children then revisited their leaf paintings to paint on top of the clay. 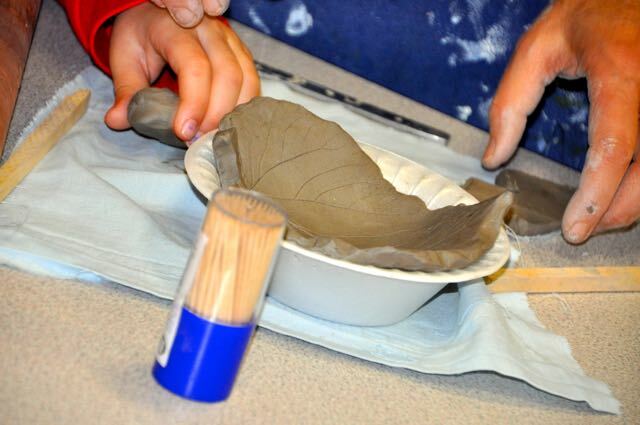 We think these finished bowls are quite gorgeous!